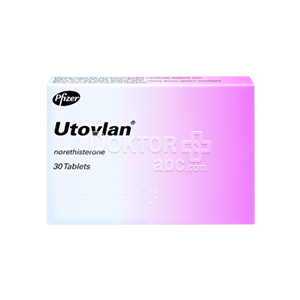 Utovlan is a type of medicine that contains norethisterone as an active ingredient. Each tablet contains 5 mg of norethisterone. Norethisterone is a type of synthetic medicine called progestogen which imitates the natural female sexual hormone progesterone. What do Utovlan tablets look like? What is Utovlan used for? Irregular periods: Regular periods last between 28 to 35 days. Utovlan is prescribed to treat women who have periods shorter than 21 days and bleed for more than 8 days. Need to use to types of menstrual products to prevent passing blood through clothes such as sanitary pads plus tampons. Breast cancer: As stated before, progesterone plays an important role in the prevention of cancer, therefore your doctor might prescribe this medication for you. Dysmenorrhea: Which is the presence of painful pelvic cramps that occur during menstruation. Emotional: Depression, moodiness, and anxiety. Endometriosis: Is the presence of endometrial cells, which are cells that are normally found in your uterus or womb and are found somewhere else in your body. Mostly ovaries, or Fallopian tubes. Period delay: This medicine is safe to use if you want to delay your period for a certain period of time. It is important to know that this medication is not to be used as a type of contraceptive method. Who should consider other alternatives over Utovlan? Like all medicines, Utovlan may not be suitable for you if you suffer from the following conditions. Allergic to Utovlan´s components or ingredients. If you had Pemphigoid gestation: Presence of jaundice (yellowish skin color) and generalized itching that occurs while pregnant. Cardiovascular disease such as previous heart attacks or angina. If you suffer from Porphyria: A rare blood disease that affects your nervous or cutaneous (skin) system. Are there medicines that interact with Utovlan? 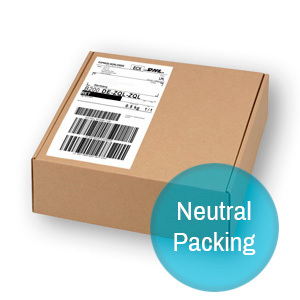 There are certain medications that have interactions with Utovlan. Be sure to tell your GP every medication you take, before starting to take Utovlan. Certain medications make the efficacy of the this medication diminish, therefore if you are taking any of these medications be sure to consult your GP about it. How should you take Utovlan? Since this medicine can treat different illnesses, the dosage and treatment will differ depending on what you are using it for. Always follow your GP’s instructions on how to take this medication. Period delay: If you want to delay your period, Utovlan should be taken three days before the expected day your period will begin. The usual dosage is one tablet of 5 mg, three times a day for the period you want to delay it, for no more than 14 days. After you stop the treatment, your period will occur around two or three days you stopped taking the medication. Heavy bleeding and other menstrual irregularities: Usual dosage is 1 tablet of 5 mg three times a day for 10 days. Treatment starts 19 days after your last period. After the 10 days of treatment your GP will probably recommend you to take 1tablet of 5mg two times a day for 8 days. This will prevent any irregular bleeding from occurring. Premenstrual syndrome: Treatment begins 16 days after your last period. Usual dosage consists of 1 tablet of 5 mg every day for 10 days. Endometriosis: Usual dosage consists of 1 tablet of 5 mg three times a day for no less than 6 months. Dosage may be increased to 4 or 5 tablets a day if your irregular bleeding hasn’t stopped. Breast cancer: Usual dosage consists of 1 tablet of 5 mg every 3 hours (40 mg a day). Dosage may be increased by your doctor to 12 tablets a day (60mg). Tablets can be taken with water before or after meals. Best to take them at the same hour every day so that you do not forget to take a dosage. What happens if you forget to take a dosage? If you forget to take a tablet of Utovlan, take the medication as soon as you remember to take it. Do not take double doses to make up for the one you forgot to take since it won’t have any effect on your treatment. Is there a risk of overdose from taking Utovlan? What should you do if you become pregnant while taking this medication? Like all medicines, Utovlan 5mg can cause side effects, although not everybody gets them. If you think you are reacting badly to the medicine, get emergency medical help immediately. If you get any of these symptoms, you should stop taking the tablets and see your doctor immediately.